When you are building, maintaining or upgrading your communications networks in Canada, who do you turn to? TVC Canada, a division of WESCO Distribution Canada, LP, is the country’s leading integrator and product distributor, supplying the Broadband, Telecom, Utility and Fiber Optic Construction industries. TVC Canada has stocking warehouses and sales offices located across Canada, staffed by the industry’s most knowledgeable and highly trained sales force. Our expertise in the areas of network design, engineering, product and materials management, logistics, transportation and finance further support our commitment to total customer satisfaction. Our Technical Services Group (TSG) through our in-country lab facility provides in and out of warranty product support to an extensive array of products. The TVC Canada “TOOLS” (TVC Ordering On-line System) enables customers to streamline their procurement processes and reduce operating costs, thereby improving their bottom line. TVC Canada boasts an extensive product offering, from fiber optic, copper and coax cable and construction products to outside plant network construction materials. From carrier-class Ethernet solutions to products that deliver a full range of integrated voice, video and data services, TVC Canada has the products required by large and small service providers alike. TVC Canada, delivering products, knowledge, service and experience to Canadians for over 15 years. 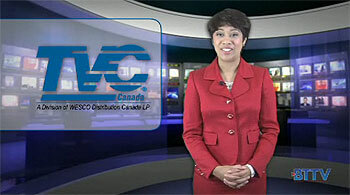 For more information, visit TVC Canada online at www.tvccanada.ca.